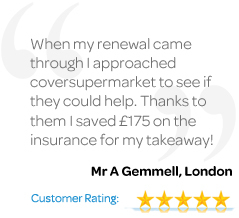 Coversupermarket will compare quotes from the UK's leading landlord insurance companies & find you the best quotes. Meaning less hassle for you & more time to focus on more important issues. Simply choose your insurance type below, fill in the form & get the cheapest quotes for your property in 5 minutes.